Add these 2 garden rocks adorn with a butterfly and sunflower solar light to your garden, flowerbed, landscape or patio. 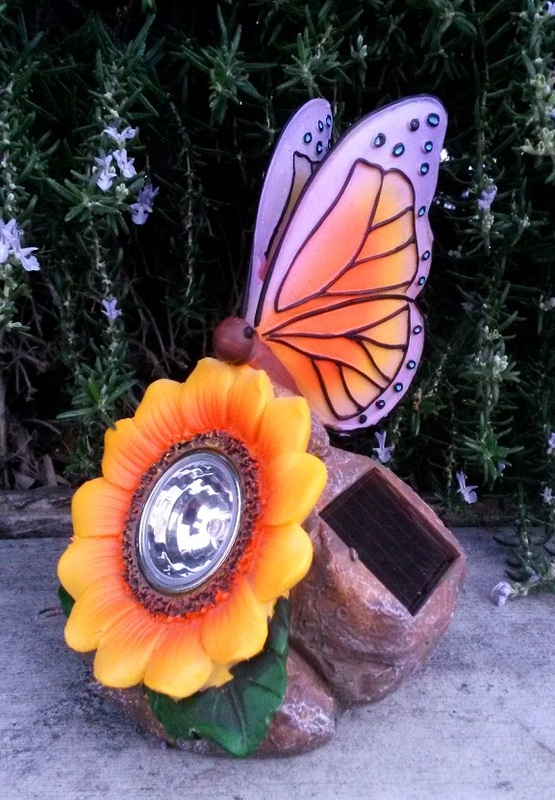 With its beautifully detailed butterfly and sunflower incased around a solar light, would make a perfect addition to your flowerbed or any outdoor setting. 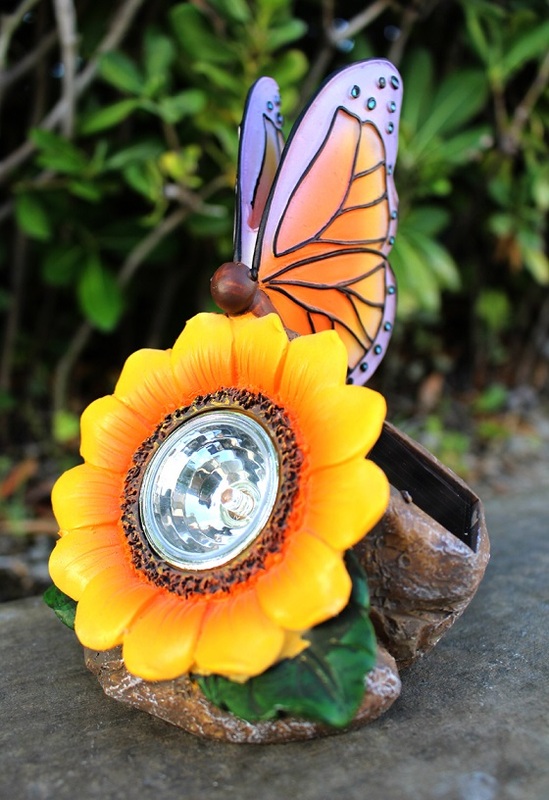 This solar butterfly/sunflower is equiped with an amorphous solar panel on the back of the rock to soak up the sun during the day. Each solar sunflower is illuminated with a yellow solar light that will add a glow to your garden for up to 6 hours at night.